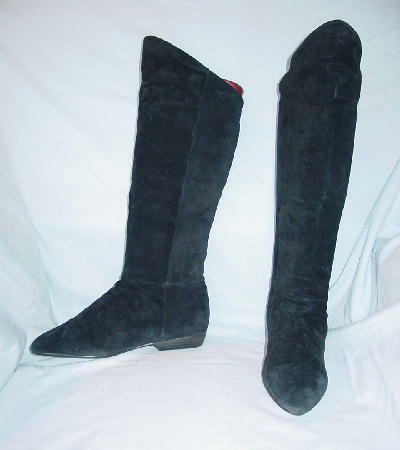 These black suede boots have modified rounded toes and low heels. The suede is scuffed at the toe tips (both boots) as it meets the sole. We don't think it's that noticeable. They were worn by several models for pictures for their portfolios.